Afzal Aman, commander of the city’s military garrison, confirmed the attack in the area of the Marshal Fahim academy. Hashmat Faqeri, a resident near the site, told The Associated Press he heard sounds of explosions and a gunbattle. The academy, known as Marshal Fahim National Defense University located on the edge of Kabul at the Camp Qargha military base, is sometimes also called “Sandhurst in the Sand” — a reference to the British academy. Named after Mohammed Fahim, the country’s late vice-president and a military commander of the Northern Alliance that fought the Taliban, the academy was inaugurated in 2013 after British forces oversaw building the officers’ school and its training program. The academy was also the site where the highest-ranking U.S. military officer to be lost in the Afghan and Iraqi wars was killed in August 2014. Army Maj Gen. Harold J. Greene, then deputy commander of the transition force in the country, was shot and killed by an Afghan soldiers in a so-called “insider attack” that was later claimed by the Taliban. Both the Taliban and IS have stepped up attacks in recent months in Kabul and elsewhere across Afghanistan, including massive bombings staged by militants determined to inflict maximum casualties, instill terror in the population and undermine confidence in Afghan President Ashraf Ghani’s government and the country’s security forces. 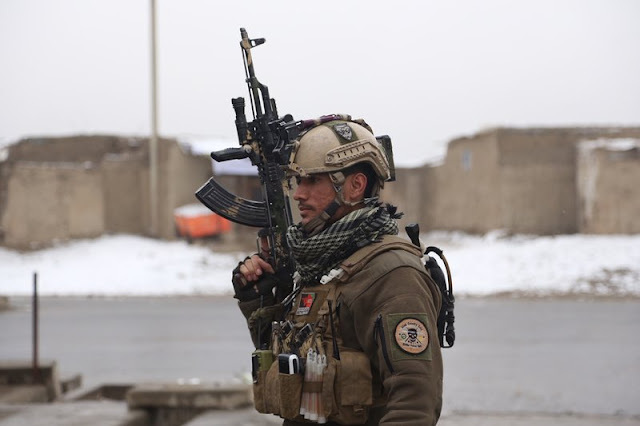 The recent brutal attacks have underscored the weaknesses of Afghan security forces, more than 16 years after the U.S.-led invasion toppled the Taliban, and raise questions about President Donald Trump’s strategy for winning America’s longest war. 0 Response to "11 Afghan troops die in IS attack on Kabul military academy"